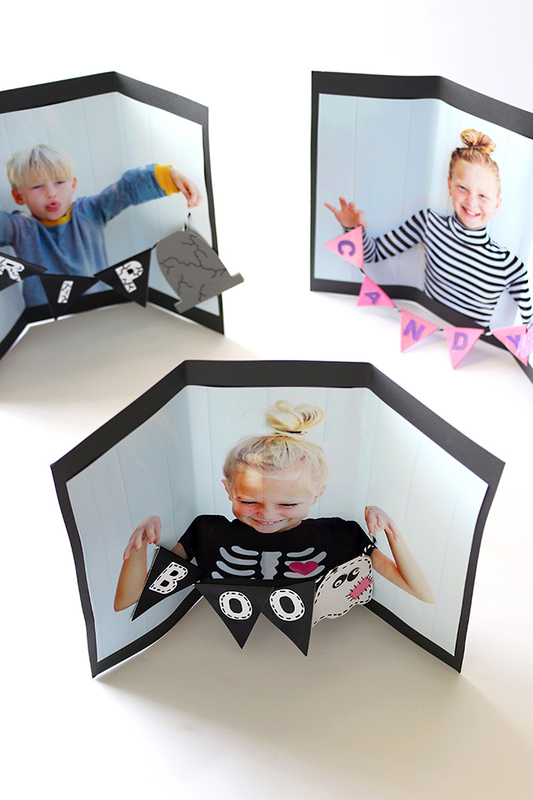 Halloween is right around the corner – woot woot! Halloween is one of our favorite seasons because it is that one time of year when everyone can be, and IS, a seamstress. We all get handy with our fabric scissors to make costume wishes come true, and people aren’t afraid to try new things. Not only that, but we always seem to find JOANN Fabric and Craft Stores on the top of our shopping list to meet all of our Halloween supply needs! And well, any time I find myself shopping for fabric, well – Momma has had a good day. 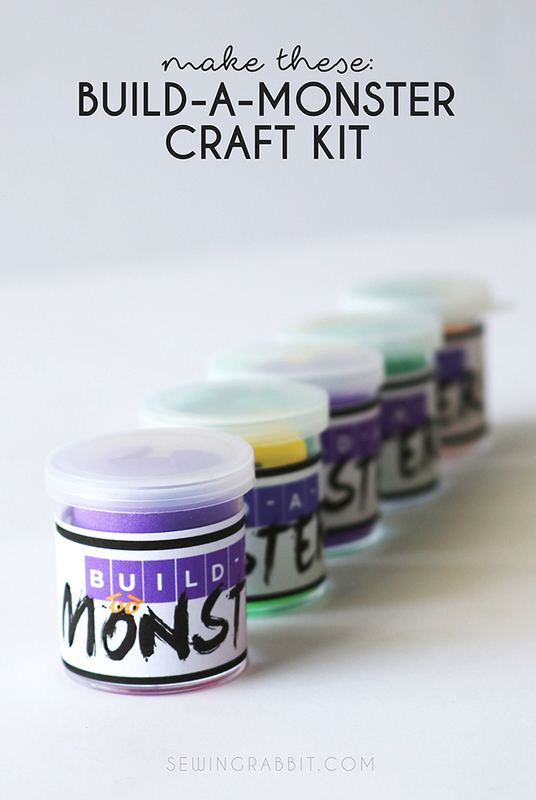 So buckle up your seat belts and get ready for the costume and craft season to begin! 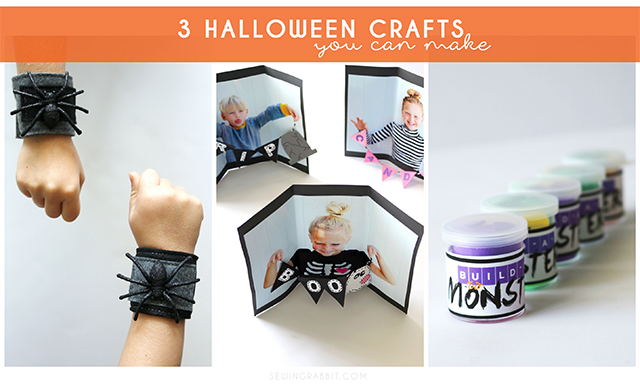 Hi, Jess Abbott the Sewing Rabbit and here are 3 fun and easy ideas to get your Halloween mojo going. 1. Download the banner file, and cut out shapes as needed. 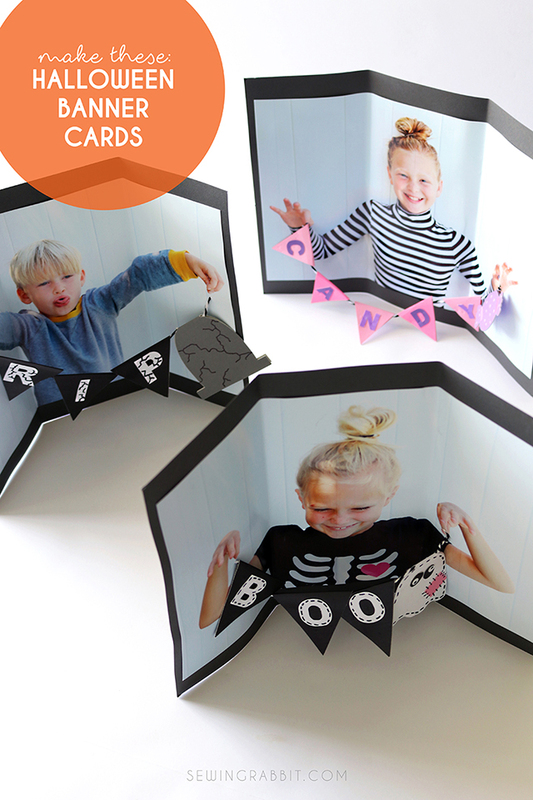 Cut shapes from cardstock. Use glue to adhere letters to bottom side of one triangle. Allow time to dry fully. 2. Fold the banner in half, along the fold line, and slip over a piece of string. Apply glue in the middle of the triangle and place both sides together. Use binder clips to hold together while drying. 3. If desired, use a marker to draw ‘stitch’ lines and other shapes onto your banner. 4. Glue picture to a piece of cardstock for added sturdiness and allow to dry. 5. 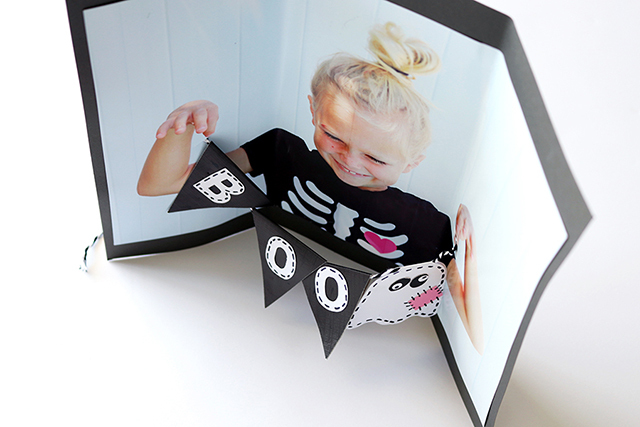 Using an X-ACTO knife, carefully cut a small ¾” slit in the photo, directly underneath the hands on both sides. 6. Fold photograph in thirds. 7. Slip banner string in the small slit in the picture, and pull all the way through. 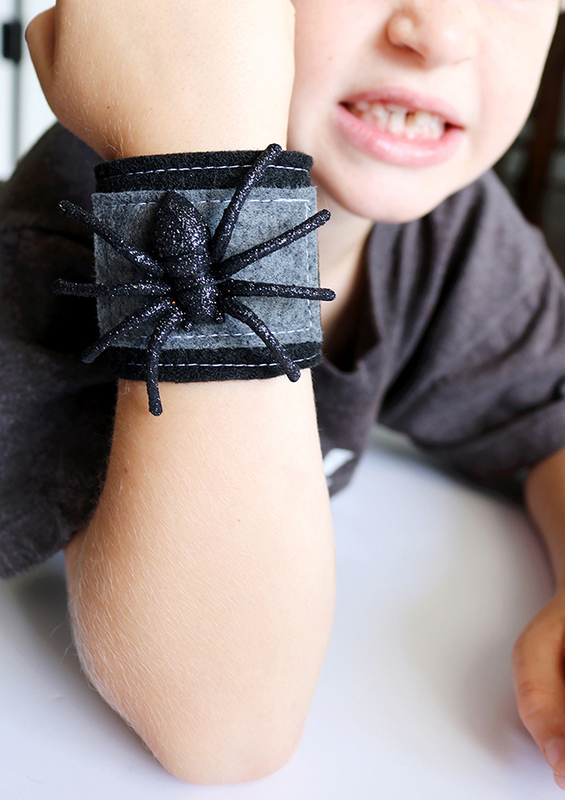 Use a small piece of washi tape to secure string to the back. Repeat for both sides. 1. Cut out mouth shapes and a large foot base from the foam sheets. 2. 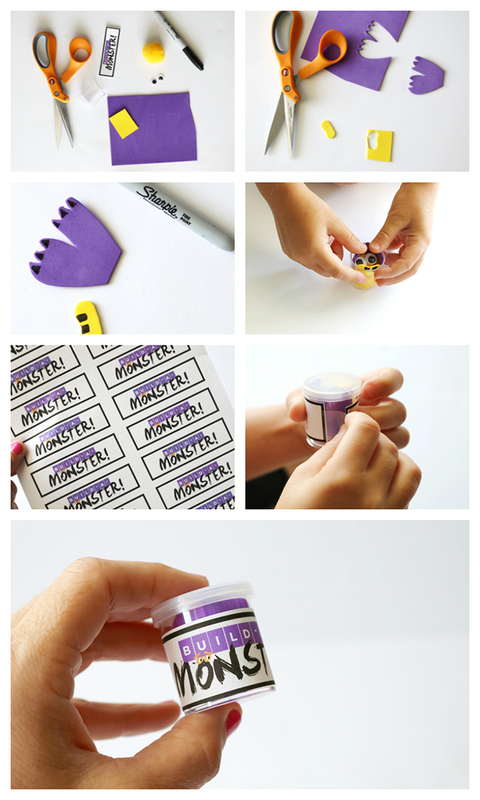 Draw teeth shapes, toenails, or other shapes on your foam. 3. 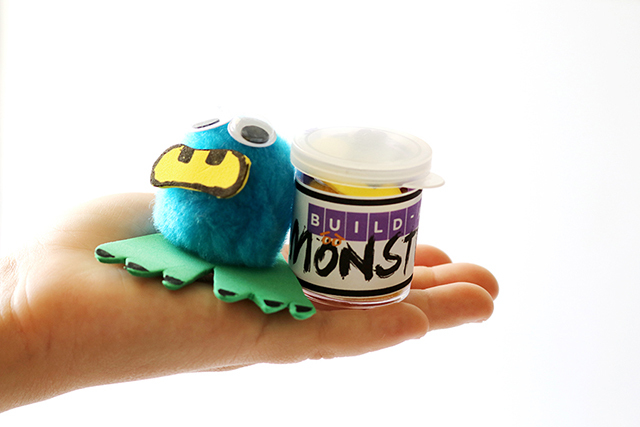 Place the foam feet, mouth, 2 eyeballs, and one pom pom inside the small plastic container. Secure with lid. 4. 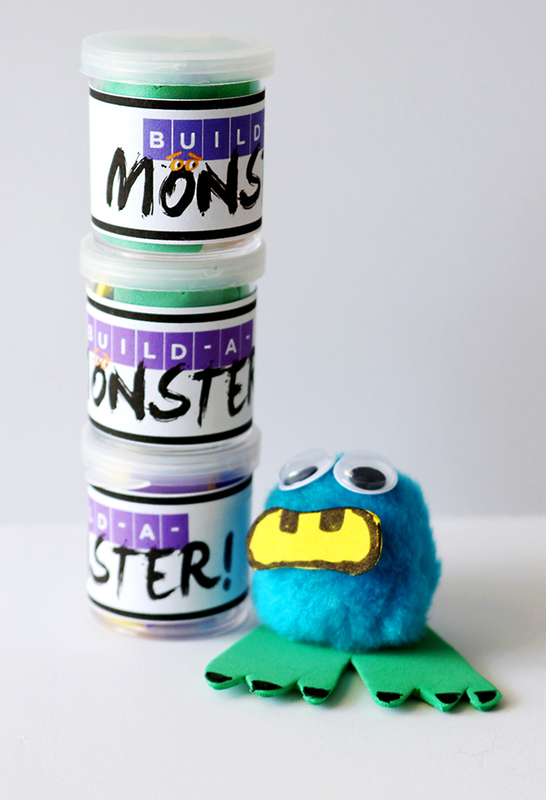 If desired, print out the free build-a-monster labels sheet. Cut out label. 5. Adhere label to plastic container with a small piece of tape. 1. Cut (2) 7” x 2.5” piece of felt (to fit a child’s wrist — 8.5” x 2.5” for adult). 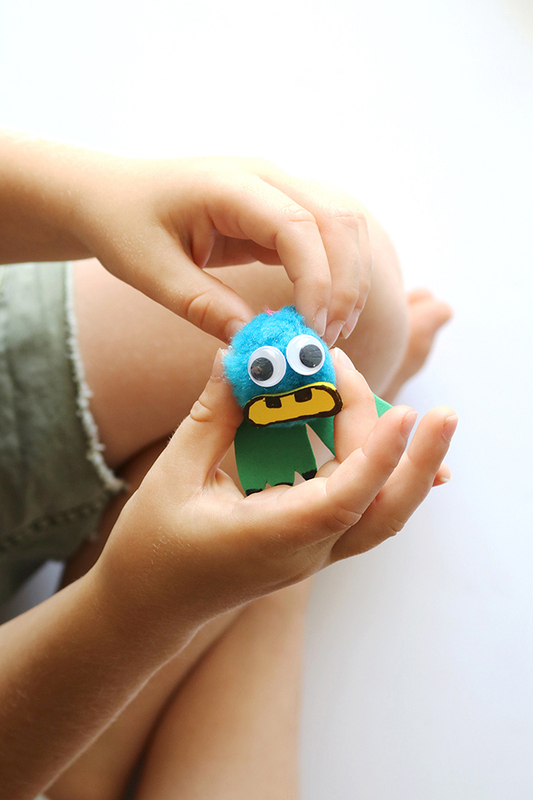 Place the pieces of felt wrong sides together, and sew around all sides. 2. 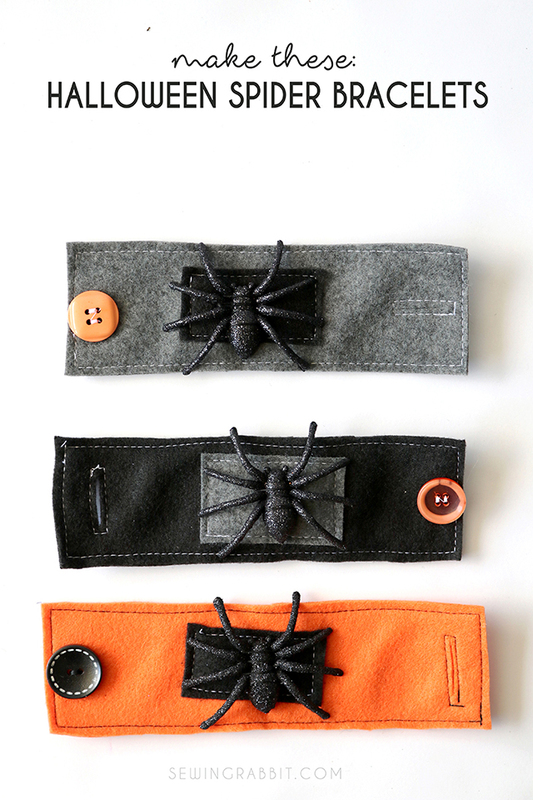 Sew a buttonhole on one short side of the felt. 3. 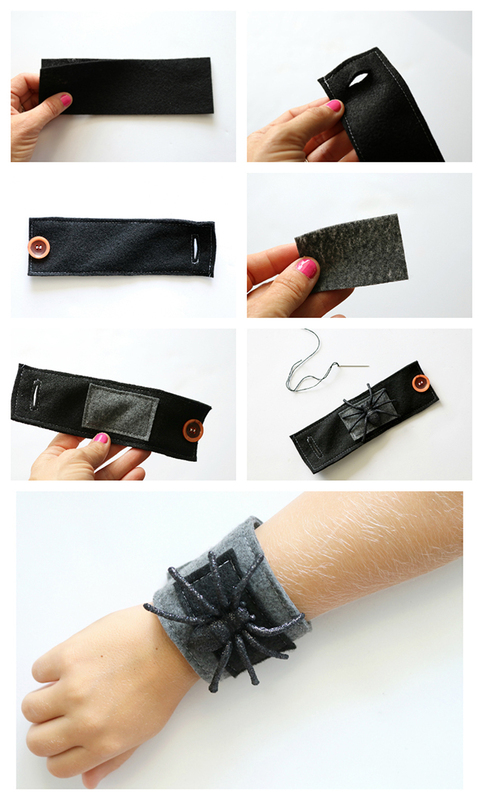 Sew a button on the opposite short edge of the bracelet. 4. If desired, cut a smaller rectangle of felt 2” x 1.25”. Center in the middle of the felt bracelet and sew around to secure. 5. 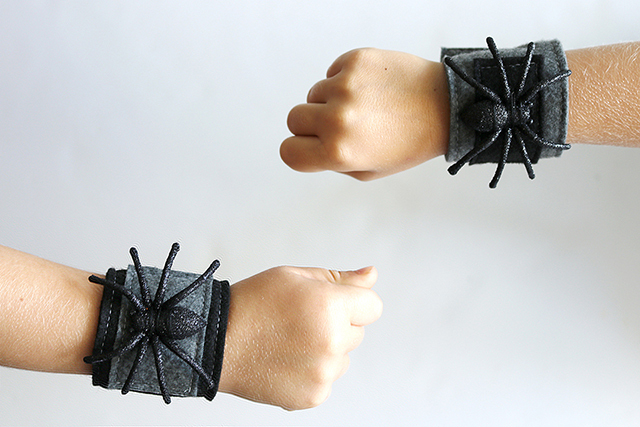 Place plastic spider on top of the middle of the bracelet. Sew to secure, using a hand needle and thread bringing the thread up and around the spider and pulling tightly to secure.